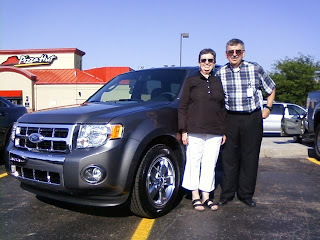 #kansascity Thank you very much for your business, Bob and Julie. It was a pleasure working with you. Enjoy your new 2010 Ford Escape... and I'll try to find a nice home for the well maintained 2005 Ford Focus Wagon you traded in.